Can Cognitive Behavioral Therapy Help You? 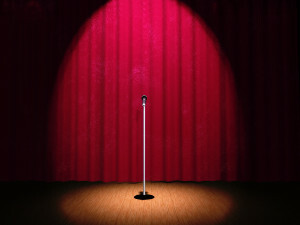 Performance anxiety is most commonly experienced as fear of public speaking, is a very common phobia and it is estimated that it affects over 75% of the population. As a matter of fact, the fear is so common that it is thought to be the number one fear of people in the United States, closely followed by a fear of death. Comedian Jerry Seinfeld once joked that at a funeral, most individuals would rather be dead and lying in the coffin than presenting the eulogy at the funeral. Those of us suffering from fear of public speaking can certainly relate! Many people will go to great lengths and do whatever it takes to avoid having to perform in front of others. For many, this fear is so intense that it greatly influences their choice of college classes as well as their professional career path. For some, performance anxiety may eventually hold them back from succeeding within their chosen professions. For others, the fear is somewhat less extreme and although these individuals may try to avoid giving a presentation at work or speaking in public whenever possible, they know that the occasional presentation at work, toast at a wedding or speaking in front of the class cannot always be avoided. Fortune Telling. You anticipate that your performance will turn out badly and you are convinced that your predication is an already established fact. All or Nothing Thinking. If your performance isn’t absolutely perfect, you think of yourself as a total failure. Overgeneralization. You view a single negative event of your performance as a continuous pattern of defeat in your life. Mind Reading. You arbitrarily conclude that your audience responded negatively to your performance without any concrete evidence to support your viewpoint. Catastrophizing. You exaggerate the importance of any goof-ups you may have had until they take on epic proportions. On occasion, we all have automatic negative thoughts. However, these thoughts can have an exceptionally negative effect on one’s performance. Anxiety counselors at GroundWork Counseling in Orlando understand that the thought of speaking in public can leave many of us frozen with fear. Performance anxiety can also cause us to miss out on many social, academic and professional opportunities. Anxiety counselors at GroundWork Counseling in Orlando have found that Cognitive Behavioral Therapy (CBT) counseling can be a very effective treatment for performance anxiety. By identifying and challenging our anxiety producing thoughts, we can eventually change how we feel. You may never look forward to speaking in public, but with a little help, support and guidance, you may find that you can learn to speak in public much better than you ever could in the past. ←Part 1: Sleep and Your Health – Why Is Sleep Important?